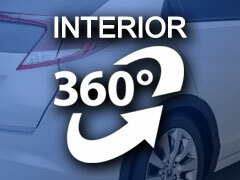 Are you looking for dealerships that deal with bad credit? Are you trying to find car dealerships that offer bad credit car loans in PA? When it comes to car dealers that offer bad credit car finance, the choices can seem limited. Don’t just go to any dealer that says they have guaranteed auto loan approval. Put your trust in Bob Ruth Ford. At Bob Ruth Ford we work with Ford Motor Credit to offer bad credit loans in PA to drivers like yourself. Many customers think that a bad credit car loan in PA means you won’t get a vehicle that meets your needs. Our Bob Ruth Ford dealers that deal with bad credit are trained to find the best car and best finance deals that are right for you and your needs. When it comes to a guaranteed auto loan, we have many vehicles in a variety of makes, models, and styles. When you shop at Bob Ruth Ford, our bad credit car finance experts want you to drive home in a quality vehicle that you will love to call your own. When trying to find bad credit loans in PA, find a dealer that looks at more than just your past. And that dealer is Bob Ruth Ford. We know that poor credit scores aren’t always because of poor decisions. We consider all of the factors that come into play when offering bad credit loans in PA. We have such a variety when it comes to vehicles because we want to do our best to ensure that there is something for just about any want and need. When you visit our Ford dealers that deal with bad credit, the vehicle you need and want to call your own is right here. Whether it’s going to and from work every day, running errands around town, just cruising the streets of PA, we have a car for you that is up for it. Be sure to ask us about bad credit car finance and bad credit loans in PA today. If you are in the Dillsburg, Harrisburg, York or surrounding PA area and are suffering from bad credit, let Bob Ruth Ford dealers that deal with bad credit help you. Our guaranteed approval auto loan for bad credit car finance makes it easy to drive away in a vehicle you love. Take one or more that meets your financial and personal needs out for a test drive to find the right fit for you. When you are looking for Ford dealers that deal with bad credit, head to Bob Ruth Ford. Call to schedule an appointment to discuss our Ford Motor Credit bad credit car finance today at (877) 818-1593. Or, stop in at Bob Ruth Ford today at 700 North US Route 15 Dillsburg, PA 17019. See what we can do for you when it comes to bad credit car finance deals and bad credit loans in PA.